Ian’s been quite busy at his new school (Matthews Elementary) — learning more about letters and numbers and how to survive lunch in a cafeteria. 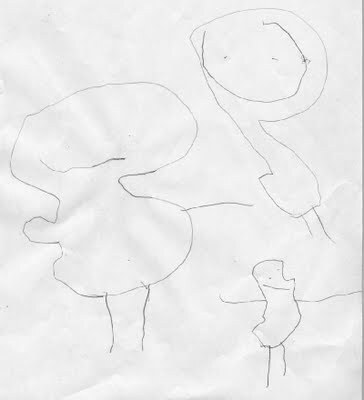 He’s also made great strides in his drawing skills. 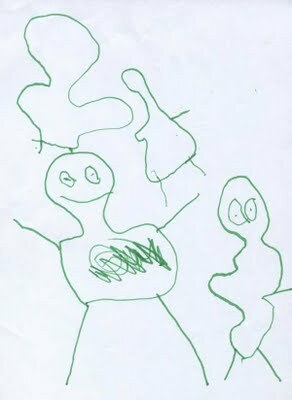 Here are the first family portraits he has ever drawn. The top row contains Mommy and Ian and the bottom is Daddy and Babcia (his grandmother Galbraith). 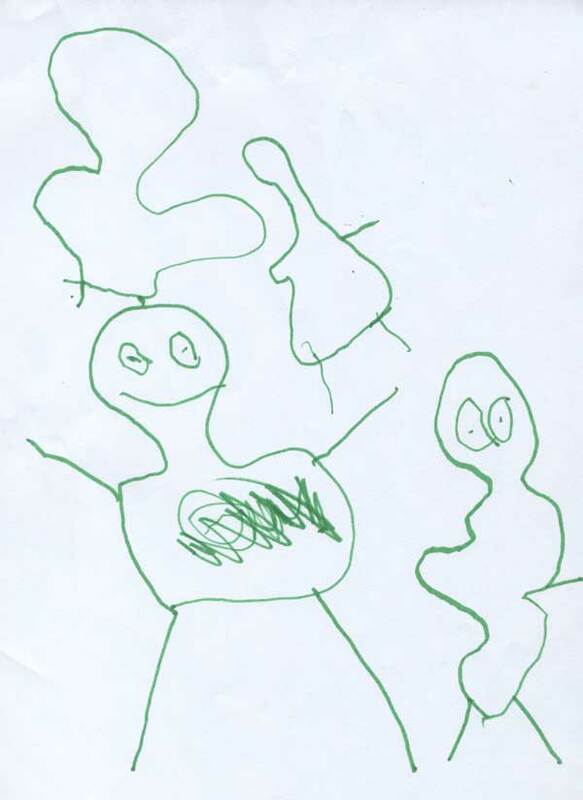 His second family portrait sticks with the nuclear family: Mommy (left), Daddy (right) and Ian (below). As he explains, Daddy is very happy, as can be seen by his huge smile. He is not wearing his glasses because this drawing is from before he needed them.